HOUSTON, Texas – The recent indictments of Governor Rick Perry has brought attention to the criminal justice system in Texas. 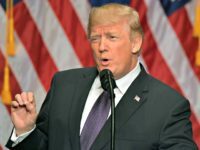 The question of who selects special prosecutors and grand jurors, and how a criminal case runs its course through the criminal judicial system, are all in the mind of the public. Tom Delay’s appeal was recently argued in the highest criminal court in Texas, but many voters are not acquainted with that court, or its candidates. More voters are now seeing the significance of their vote in these races where the constitutional issues of life, liberty, due process, and the death penalty are at stake. So who are the candidates seeking to determine these important constitutional issues? 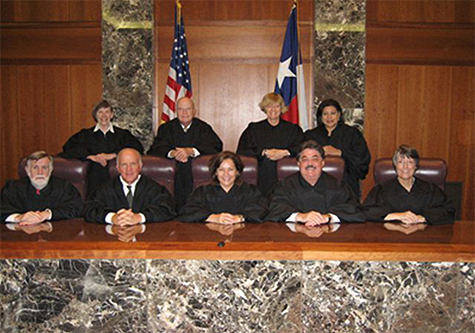 There are nine judges on the Texas Court of Criminal Appeals. Three of these judges are retiring. There are three non-incumbent candidates who are vying for these positions on the ballot. In Place 3, is Republican Judge Bert Richardson of San Antonio. Richardson was recently propelled into the public spotlight after he appointed the special prosecutor in the Governor Perry case. He has been serving as a visiting court judge. Richardson was a criminal district judge in Bexar County from 1999-2008 but was defeated in a Democratic sweep. He served as a prosecutor prior to becoming a judge. He faces Democrat criminal defense lawyer John Granberg of El Paso, and Libertarian Houston criminal defense lawyer Mark W. Bennett. Judge Richardson won the State Bar of Texas Judicial Poll. In Place 4, is Republican Kevin Yeary who is an appellate prosecutor in Bexar County. He has served as a briefing attorney on the Texas Court of Criminal Appeals and he has practiced criminal defense law. Yeary does not have a Democrat opponent but faces Libertarian Quanah Parker of Abilene, and Green Party candidate Judith Sanders-Castro from San Antonio. Yeary won the Judicial Bar Poll. In Place 9, is Republican nominee David Newell from Richmond. Newell is an appellate prosecutor in Harris County. Like Yeary, Newell does not have a Democrat opponent but faces criminal defense lawyer George Altgelt, a Green Party candidate from Laredo, and William Bryan Strange, Libertarian candidate from Dallas. Strange does not list an area of legal practice on the Texas State Bar website. Strange and Newell are both from large cities and they had only one vote difference between them in the Bar Poll. So who will be serving on the Texas Court of Criminal Appeals in January? Republicans dominate statewide offices and the judges on the Texas Court of Criminal Appeals and the Texas Supreme Court are all Republicans. Judicial races are important, but there are so many candidates, and so many courts, it is hard for the average voter to know who to vote for. When compared to candidates in other statewide races, candidates running for statewide criminal courts do not have a huge war chest. Money for getting the word out is limited. The significance of who sits on these courts has now become more apparent to voters. Lana Shadwick is a contributing writer and legal analyst for Breitbart Texas. She has served as a judge and a prosecutor. Follow her on Twitter @LanaShadwick2.